Rose Cottage in Bratoft, near Burgh-le-Marsh sleeps 6 people. 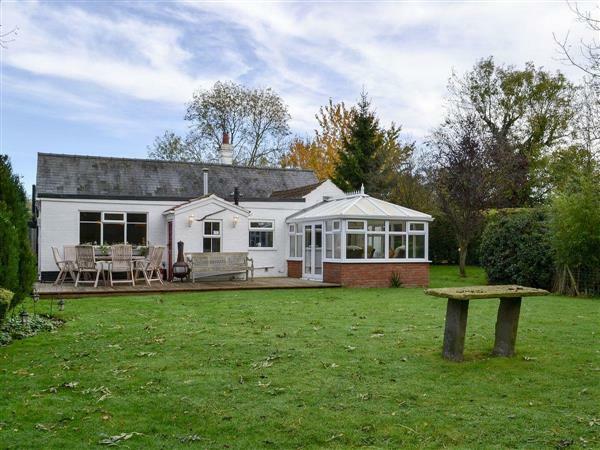 Rose Cottage near Burgh-le-Marsh is tucked away on a quiet country lane; this spacious, detached bungalow offers a tranquil retreat complete with a private hot tub to relax in after a day exploring the area. Whether it’s a trip to the traditional seaside resort of Skegness with its sandy beaches and Gibraltar Point Nature reserve, or a day out in Lincoln famous, for its cathedral, castle and the Magna Carta Visitor Centre, there is something for everyone. The Lincolnshire Wolds offer excellent walks and cycle routes with good country pubs to stop off in and enjoy refreshments, coarse fishing at Bratoft, (licence required), is 2 miles away and there is a good golf course within a short drive. The beach is 9 miles from Rose Cottage near Burgh-le-Marsh. With the shop and restaurant 5 miles, and the pub ½ mile. Living room 1: With 50 Freeview TV, DVD player, CD player, double sofa bed and doors leading to conservatory. Kitchen/dining room: With electric oven, electric hob, oil Aga, microwave, fridge/freezer, dishwasher and washing machine. Living room 2: With multi-fuel burner, Freeview TV and DVD player. 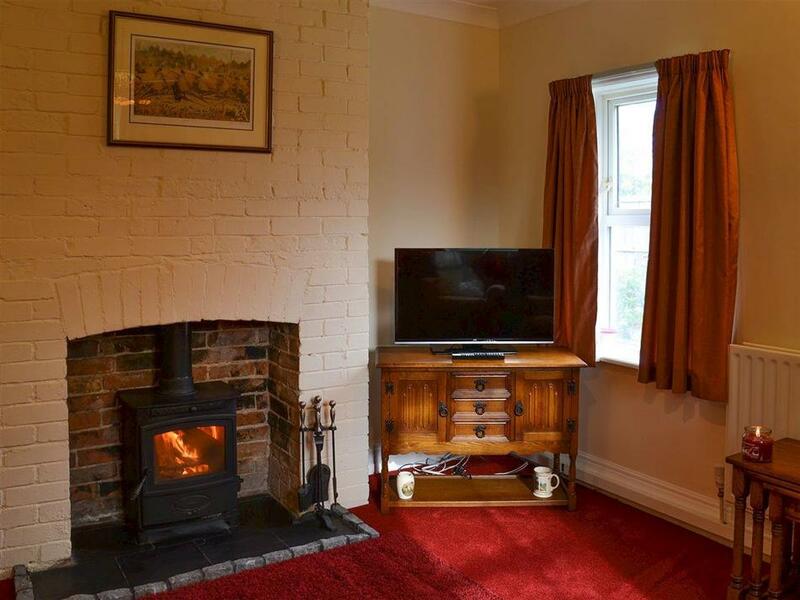 Oil central heating, oil, electricity, bed linen, towels, Wi-Fi and logs for wood burner included. Travel cot and high chair. Welcome pack. Enclosed lawned garden with patio, garden furniture and gas barbecue. Hot tub for 6 (private). Private parking for 3 cars. No smoking. Please note: There is a lake 30 yards away. Holidays at Rose Cottage run from Friday to Friday. Pets allowed at Rose Cottage. Rose Cottage is in Lincolnshire; should you be on the lookout for a special offer, you can find all the special offers in Lincolnshire. It's always worth checking to see what is on offer at the moment. Do you want to holiday near Rose Cottage (UKC1049), you can see other cottages within 25 miles of Rose Cottage; have a look to find your perfect holiday location.